Weddle Landscape Design have recently completed the landscape design concept for the ‘Shanghai Fish’ in Nanqiao New City, Shanghai. 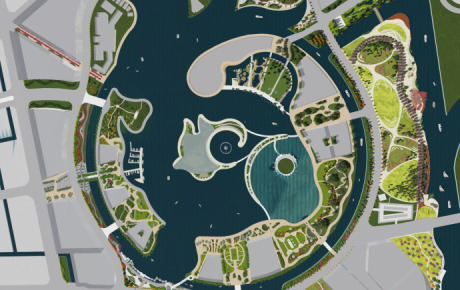 Weddles were engaged to produce a landscape design concept for the newly built 36ha ‘Shanghai Fish’ urban framework, implemented by the designers of the Palm Tree Island, Dubai. We have proposed the integration of cutting edge landscape practices and approaches with the aim of promoting Ecological Design, Clean Water and Healthy Living for this new district of Shanghai. The Winter Garden is a spectacular glazed public space in the heart of the Sheffield city centre. Extensively landscaped with exotic trees and plants it is an indoor park providing an important amenity for the public in the city centre and a counterpoint to the open air ‘summer’ Peace Gardens nearby. Along the length of the building three garden areas have been formed and gently ramped paths rise through the planted beds to provide an alternative ‘wild’ route through the building. 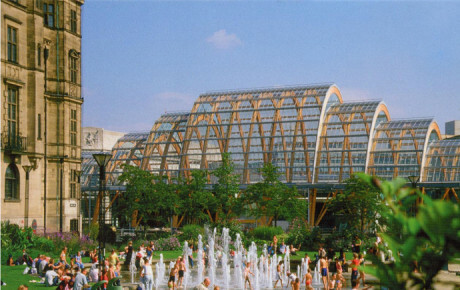 Weddles provided the horticultural design for this landmark public glasshouse, with a service including specification, plant sourcing, supervision. The majority of the trees and plants are from the southern hemisphere, where they have evolved quite differently to Britain’s own native flora, and are strikingly exotic and unusual In their forms, textures and colours.The beds contain over 2,500 plants from a wide diversity of 150 differ­ent species. The largest trees are over 10 metres tall with the potential to grow taller than the building. The Winter Garden has been a great success for Sheffield and is loved by the people. It has become a famous local building and an icon for the city, and appears almost daily in the local newspaper with pictures of visiting celebrities or civic events. It has also helped stimulate regen­eration of new commercial developments nearby, including high quality offices, restaurants, hotels and apartments, making the Heart of the City a truly special place. Weddle Landscape Design have recently completed the landscape design concept for the ‘Shanghai Fish’ in Nanqiao New City, Shanghai. 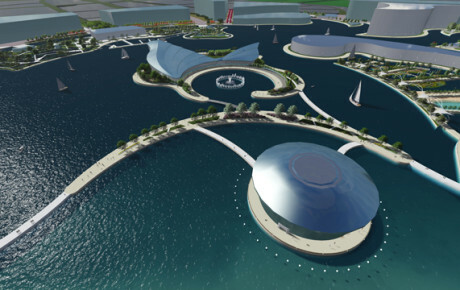 Weddles were engaged to produce a landscape design concept for the newly built 36ha ‘fish’ framework, implemented by the designers of the Palm Tree Island, Dubai. We have proposed the ingetration of cutting edge landscape practices and approaches with the aim of promoting Ecological Design, Clean Water and Healthy Living for this district of Shanghai. The main concept for the design is an energy saving glasshouse which contains plants that can survive in temperatures that need minimal heating and cooling. The aim of the design is to create a unique, vibrant and interesting environment which can be enjoyed by everyone who visits the glasshouse. The design concept was to showcase the conservation of plants from worldwide temperate habitat zones, where native plants are threatened by city expansion. 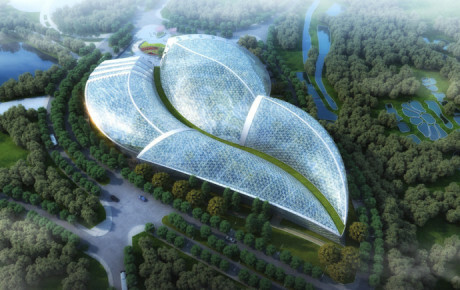 Weddle worked with one of China’s largest architectural practices to develop a naturally ventilated environment where temperatures can fluctuate between 6 – 30 degrees centigrade. 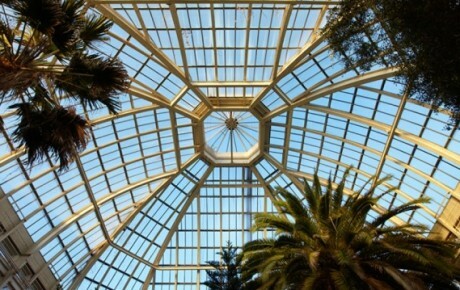 The glasshouse exhibits 3000 varieties of plants ranging from bamboo to cactus, palms and tree ferns with space for 30m-high trees. There is also an Ocean Tank for seaweed and marine displays and a Cultural Bamboo House. By maximising the ecological and aesthetic values of the landscape we have made the Qingdao Glasshouse one of the best tourist attractions in the world. We have applied tried and tested western landscape practices to the scheme but still use low cost and achievable construction techniques. This combination will ensure the success of the scheme in the long term and make the Glasshouse a prominent symbol for Qingdao City. The Avery Hill Winter Garden, first built in 1890 by Colonel John Thomas North, is at the heart of Greenwich University. We acted as technical advisor to the university. The first phase concentrated on Chilean plants; Colonel North was known as the Chilean Nitrate King in recognition of his export of nitrates for fertiliser from Chile back to England. The three-domed Winter Garden of Mansion House was created when Colonel North wanted his family to enjoy exercise in inclement weather. After his death, London County Council bought the building and turned it into an educational establishment, ultimately becoming part of University of Greenwich. The building suffered wartime bomb damage and the heating system struggled to provide tropical heat for the exotic plants in an increasingly leaky old building. The Winter Gardens were opened to the public in 1962, but parts had to be closed when the building became unsafe. The rising costs of maintenance, particularly heating, have escalated. The first phase of planting has been carried out by Tendercare to our design. 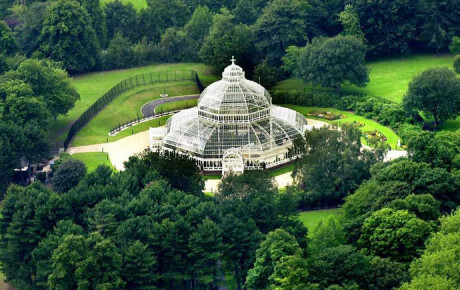 Weddles are very proud to have helped restore this beautiful Victorian glasshouse to its former glory. The local community of Liverpool had watched this magnificent Victorian building crumble into disrepair, and so they formed a group of ‘friends’ to persuade the city council to apply for a Restoration Grant. Weddle Landscape Design were appointed to provide technical expertise. assist with the grant advise, the engineers on environmental requirements, and to ensure that the scheme was a horticultural success. Indoor plant displays are very popular, especially during the winter months. It gives people an opportunity to see exotic plants from across the world without having to travel. Current green thinking is that such displays should be low carbon, low energy and no chemicals. Weddles recommended an economical heating system to provide sufficient background heat for a range of warm temperate plants. We showed the city council that it would be possible to reuse many plants held in their botanic collection without needing to Import new tropical plants. The planting design gives visually exciting display and Is maintained by biological control. Pearl is a major insurance company which wanted to move from its London offices to a new headquarters building in Peterborough Busness Park,close to open countryside. Pearl wanted to ensure that employees would benefit from the green setting and asked Weddle Landscape Design to join the Design Team. Roof gardens are technically demanding, requiring irrigation, drainage, and have special problems of shallow lightweight soils needing special tree anchorage.Inside the building are huge aria, with collections of tropical plants which can be seen from office workspaces. The Pearl Centre landscape scheme was a complete success and welcomed Pearls employees to their new workplace. 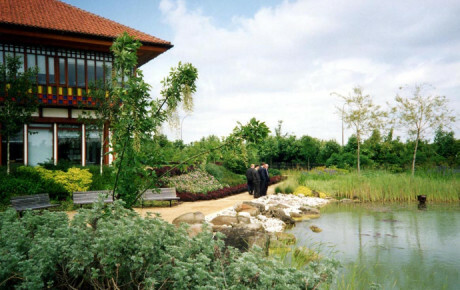 At lunchtimes staff can enjoy strolling and sitting in a wide choice of different landscape gardens, and fishing in the lake.